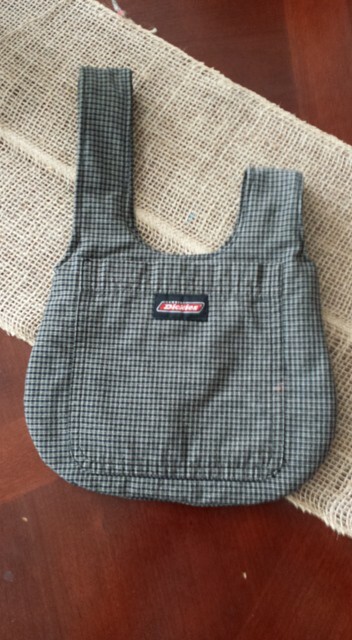 A few birthdays ago, my hubby gave me a 4-1 Futura Singer Sewing Machine. That contraption can kick a** and I haven’t even learned half of what it is capable of doing. I just bought some bathroom towels on sale at Big Lots. 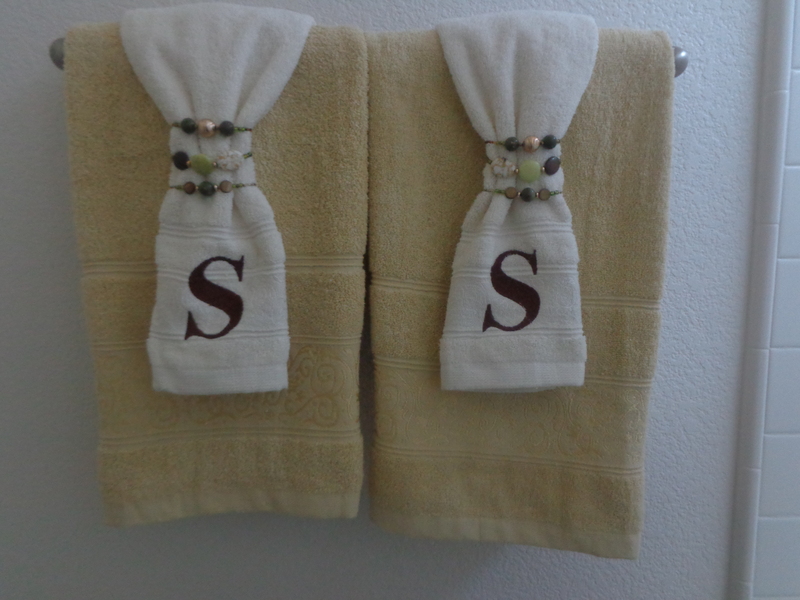 $5/bath towels and $4/hand towel minus 20% off! As Chandler from Friends would say, “Whoop pah!” I also bought four kitchen towels at Walmart for $1.48 each! Another WHOOP PAH! 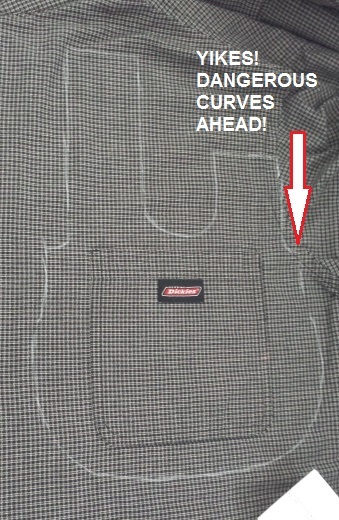 To give them just a touch of pizzazz, I embroidered them on my sewing machine. I’ve been seeing a lot of those Live, Laugh, Love quotes all over Pinterest. 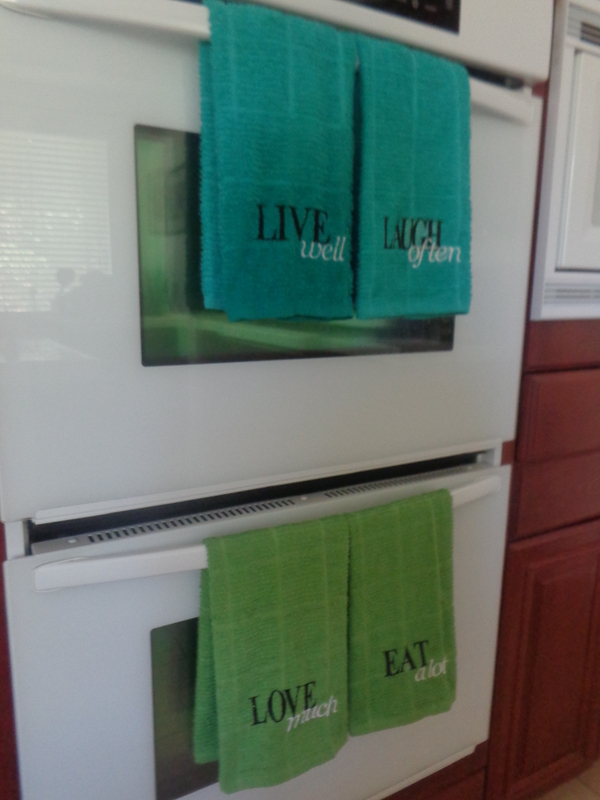 Since I had that fourth towel, I added “Eat a lot”. 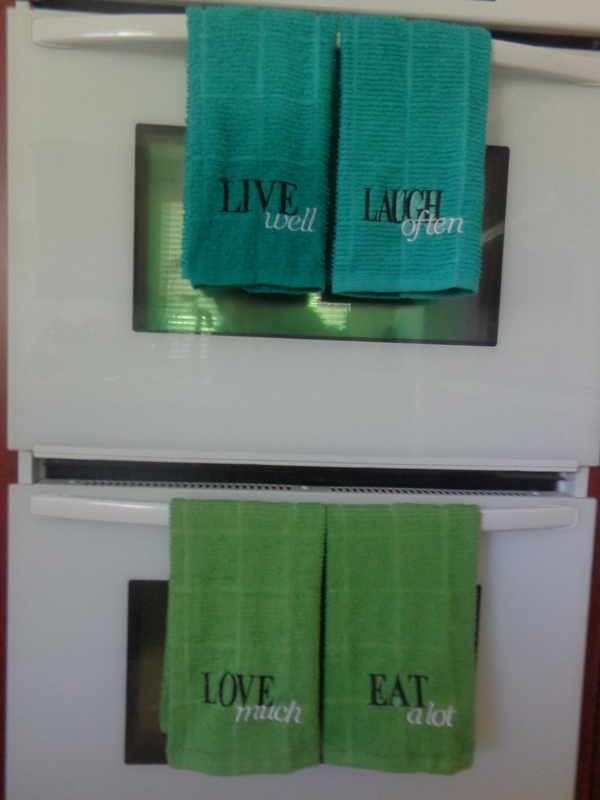 I figured, intuitively, we would all like to “Live well, laugh often, and love much”, right? Well, let’s “EAT a lot”! In retrospect, “LEARN” something or to that effect going with the “L” theme might’ve worked, too. Next time. 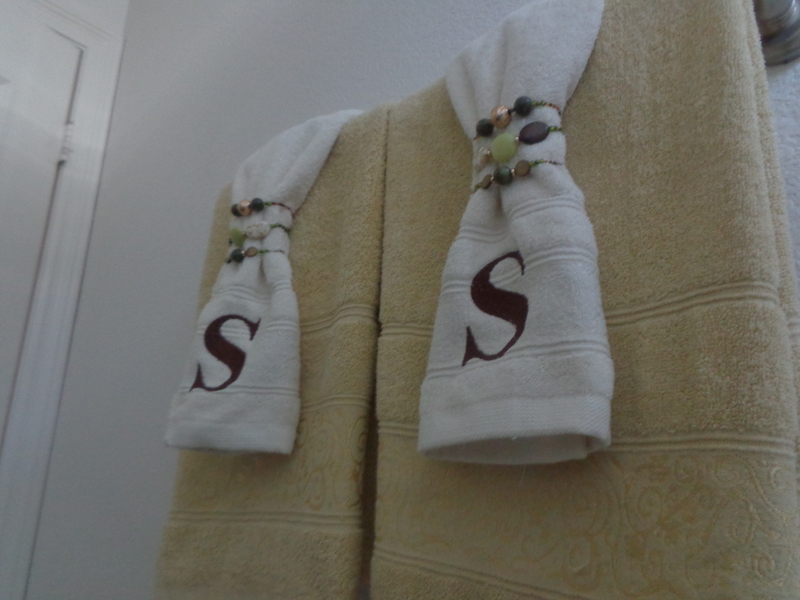 The “LIVE” towel is slightly discolored because I used it! It was a little wet. 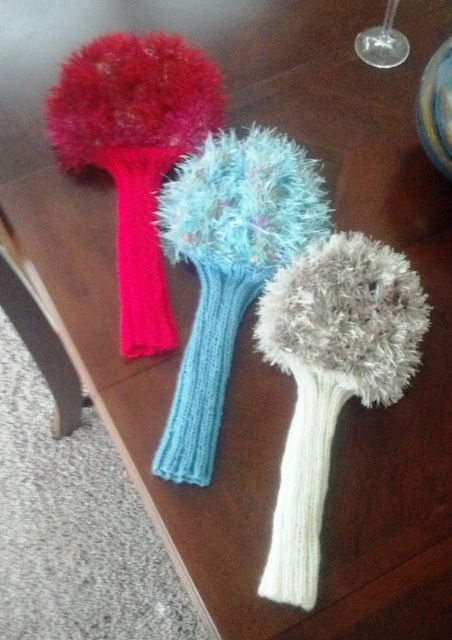 Crafts that are functional. What a concept! 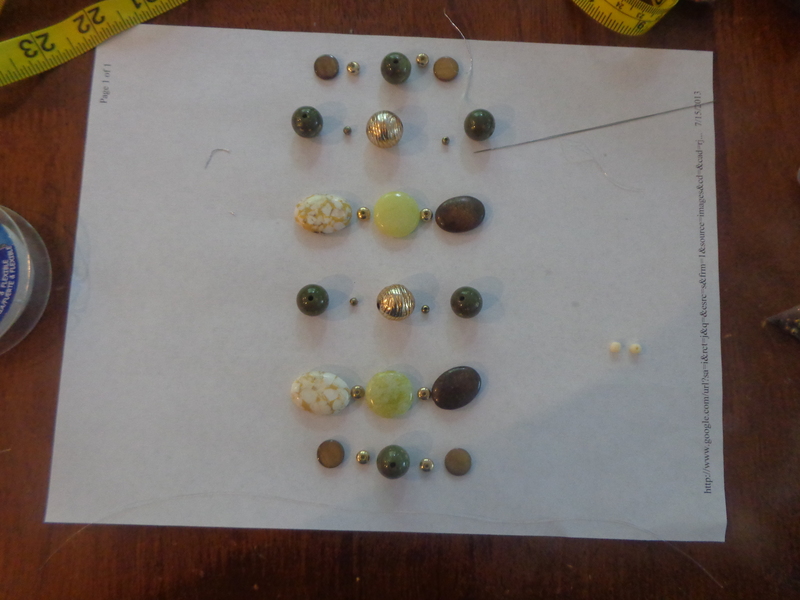 I added little beaded embellishments because that’s what I have lying around…haphazardly. 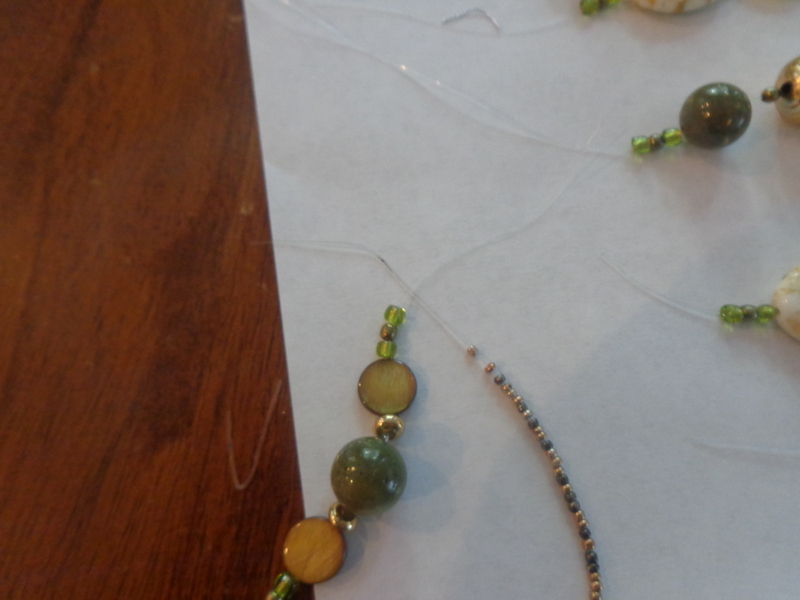 Decided that these beaded dealies needed to be bracelet length so they can pull double duty. 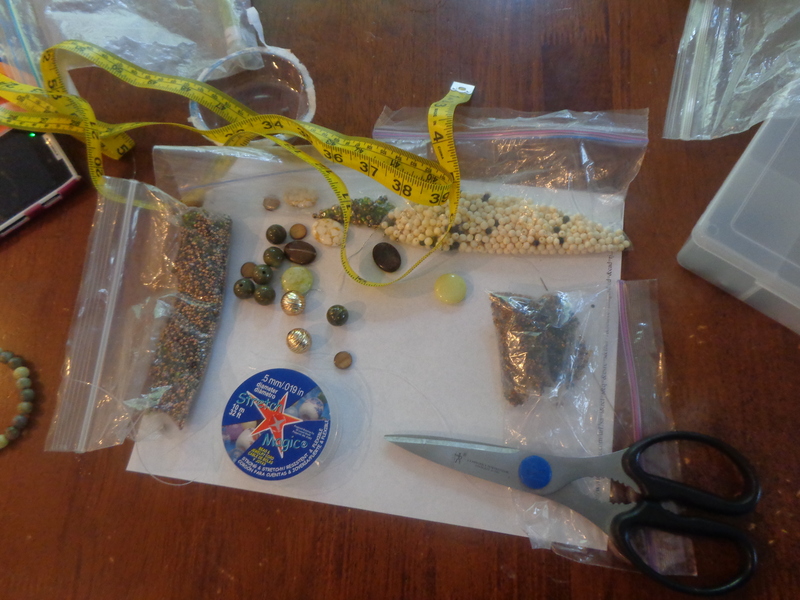 Let’s make these beaded bracelets! 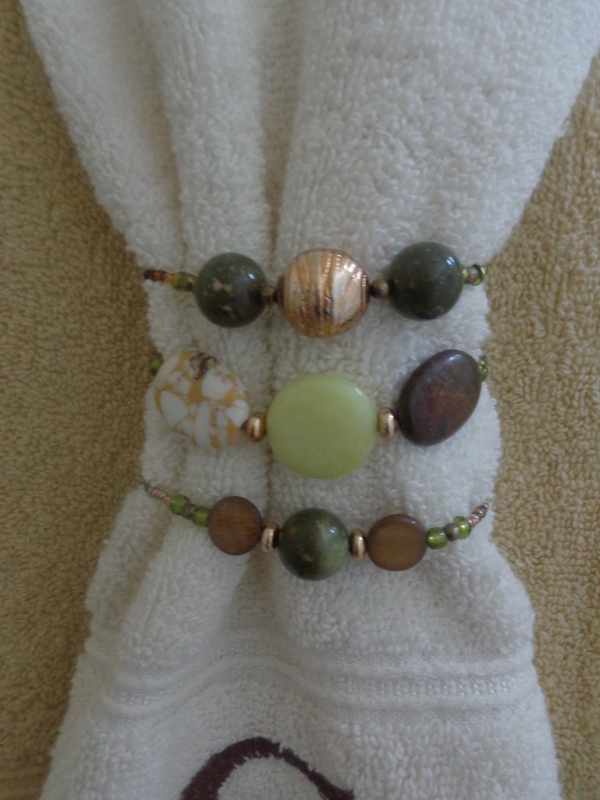 I decided that I wanted 2 matching sets of bracelets, with each set containing 3 bracelets. In other words, six total. I made sure that I had enough beads to make both sets. 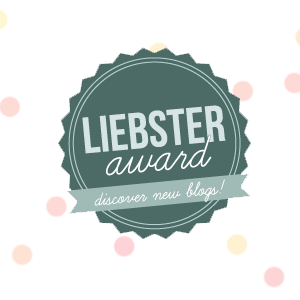 Don’t even get me started on how many times I’ve jumped into a project without first verifying I had everything. An average bracelet diameter is 7.5 inches. Measure a length of Stretch Magic about twice that. Don’t be like me and try to go the stingy route and measure only about 12 inches. You’ll want a little extra bit of length for something to hold on to when you tie them together. Stretch the elastic a few times to condition it. 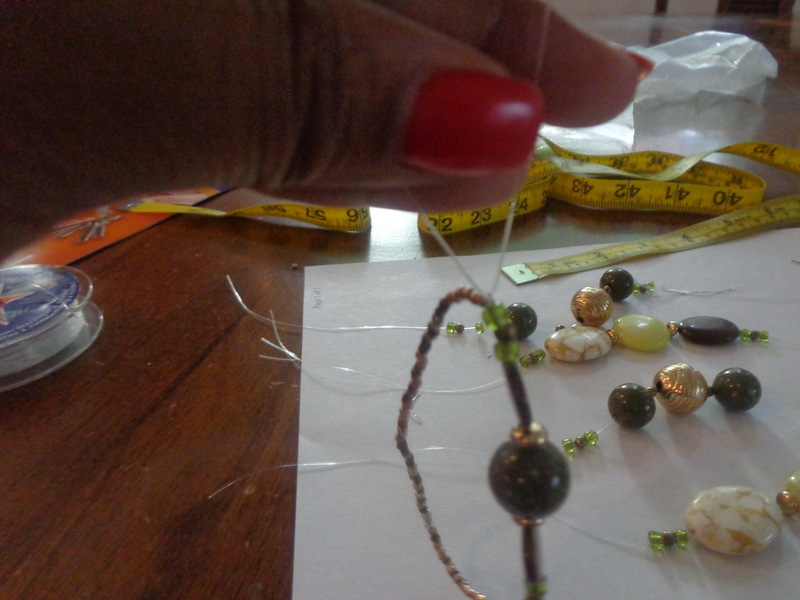 String the beads until the piece measures 7.5 inches. Tie it in a knot. Stretch the cord each time a knot is made. One bracelet comes full circle! Make a bunch more! 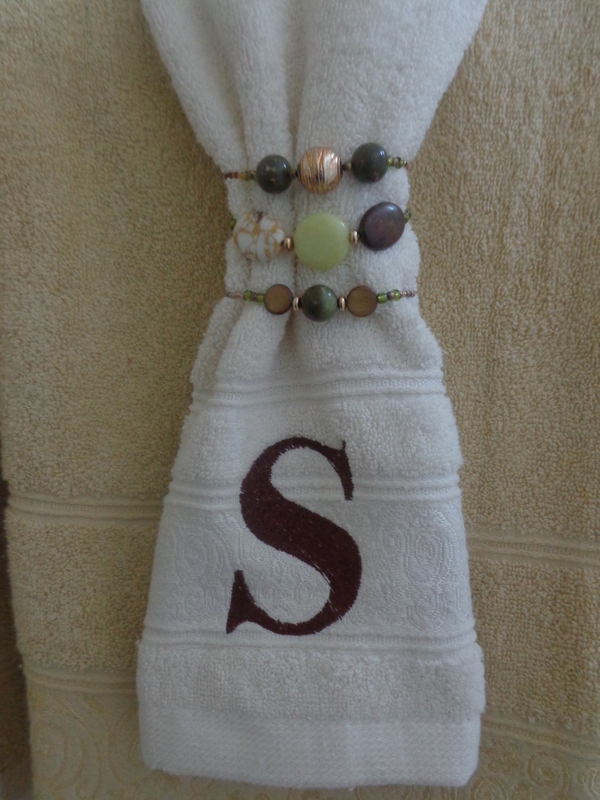 This entry was posted in Jewelry, Sewing, Uncategorized and tagged beads, embroidery, live laugh love, towel. Bookmark the permalink.